Continue your Business Design journey by delving deeper into the theory and application of human-centered innovation. Choose your own adventure and increase your mastery in your 2nd year at Rotman. Here are the Business Design offerings now available to you. Interested in exploring and playing with Business Design? Sign up for 2015/2016 Sandbox Series events. Starting this Fall, we’ll have a brand new line up of workshops, industry partners, and Sprint challenges. Continue to learn new skills and engage with industry by participating in all of our educational events. Look for announcements this Fall in the GBC and BDC newsletters. Interested in being recognized for Business Design in your degree? Not interested in a Major? Looking for a deeper dive in an elective course? Take a Business Design course. Pick from these recommended courses to deepen your understanding of Business Design and innovation: Design Practicum, Strategic Foresight & Business Design, and Business Design Independent Study, Deep Consumer Insights, and the Design Tour. 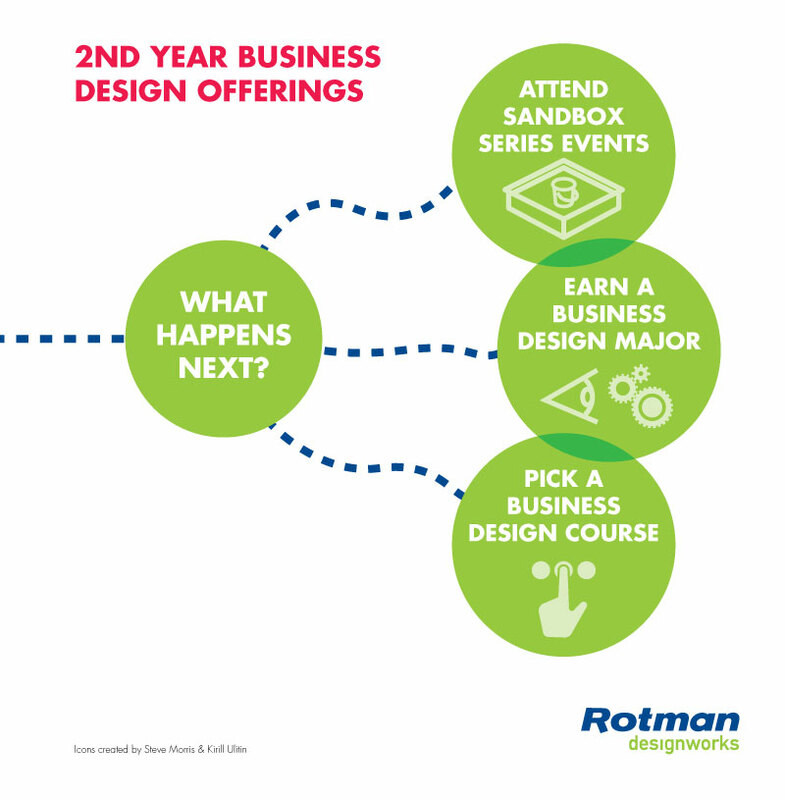 Continue your Business Design journey at Rotman. Create your own path during the upcoming electives fair and bidding process. Questions? Feel free to contact Alpesh Mistry (Alpesh.mistry@rotman.utoronto.ca).